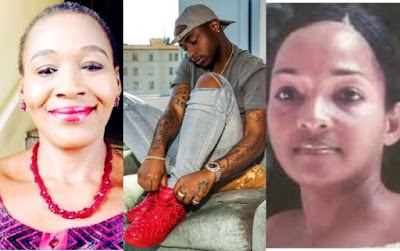 The journalist who has been in a back and forth drag session with Davido, claimed that she speaks with the dead and had a spiritual communication with Davido’s mother, Veronica. There was no @mitchellanuadeleke till November 9th 2018. I’m leaving these archives for Anu, Imade and Hailey. One day they will read them and understand why they didn’t grow up together. I have spiritual communication with Vero. Yes I can speak to the dead. There are people who do that in America. People keep INBOXING me about that. I’m not ready for you yet. There’s a lot you can learn from me. Many of you don’t even know Tyler. I have his powers⚰️🎙️He speaks to the dead and can reach your loved ones. Same with me. I can also do prophecies. Many of you don’t understand what I mean by don’t respect the Dead. The DEAD DON’T NEED YOUR RESPECT. Idi Amin, Hitler, Ojukwu, Murtala Muhammad, Abacha, Ghadaffi etc etc are all dead. Why will you respect them? They are talked about in history long after they’ve gone. Vero will be talked about. @tylerhenrymedium is dynamic. I feel Good chose us both on either side of the Atlantic. Make sure you SUBSCRIBE to YouTube.com/HNNAfricaTV where I will speak on camera to you on chapter 5-10. Vero committed #SUICIDE and I know why. I was the ONLY ONE SHE TOLD. I did not take it seriously but after that church service on Deji’s 40th birthday party and she locked herself in the room when they found her dead, I knew she had “done it”. NEVER EVER LISTEN when you hear someone say “I feel like killing myself”.